Obituary: Ali Mazrui, New York Professor With Many Ties To The US Muslim Brotherhood. October 14, 2014 – One of Africa’s foremost intellectuals, Professor Ali Mazrui, died peacefully on October 12, 2014 of natural causes at age 81 at his home in Vestal, New York, surrounded by family. 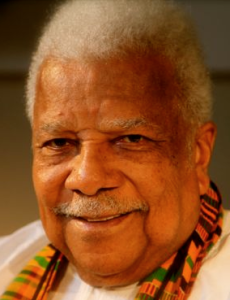 Prof. Mazrui was an Albert Schweitzer Professor in the Humanities and the Director of the Institute of Global Cultural Studies at Binghamton University in Binghamton, New York. 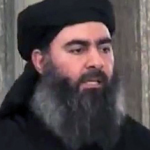 Kenya’s President Uhuru Kenyatta said Africa had been robbed of one of its greatest scholars. Mr Mazrui had been ‘towering’ academic whose ‘intellectual contributions played a major role in shaping African scholarship’, Kenyatta told BBC News. Prof. Mazrui is well known for his writings on politics in Africa as well as Islamic studies. He was born on February 24, 1933, in Mombasa, Kenya, to Swafia Suleiman Mazrui and Sheikh Al-Amin Mazrui, an eminent Muslim scholar and the Chief Qadi (Islamic judge) of Kenya. Immersed in Swahili culture, Islamic law, and Western education, he grew up speaking or reading Swahili, Arabic and English. In November 2007, the GMBDW reported on Dr. Mazrui’s election as President of the Association of the Muslim Social Scientists (AMSS), founded in 1972 as an outgrowth of the Muslim Student Association by important members of the U.S. Muslim Brotherhood. AMSS has sponsored annual conferences and publishes a journal entitled American Journal of Islamic Social Sciences (AJISS) in conjunction with the International Institute of Islamic Thought (IIIT), an important part of the US Muslim Brotherhood which plays host to the AMSS. According to an online biography, Dr. Mazrui held positions in several other organizations with connections to the Muslim Brotherhood including the now defunct American Muslim Council, the Center for the Study of Islam and Democracy (founder/Chair), and the Center for Muslim-Christian Understanding at Georgetown University, headed by long-time Muslim Brotherhood supporter John Esposito. In 2001, Dr. Mazrui was listed as a member of the advisory board of the Council for American Islamic Relations (CAIR). In May 2010, the GMBDW reported on anti-Semitic comments made by Dr. Mazrui at a Columbia University colloquium.